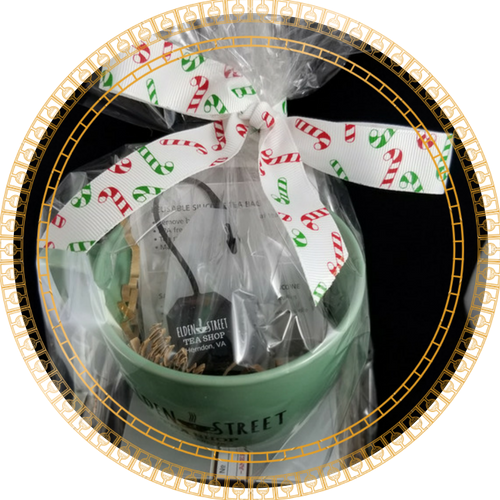 We have excellent gifts for the holidays. 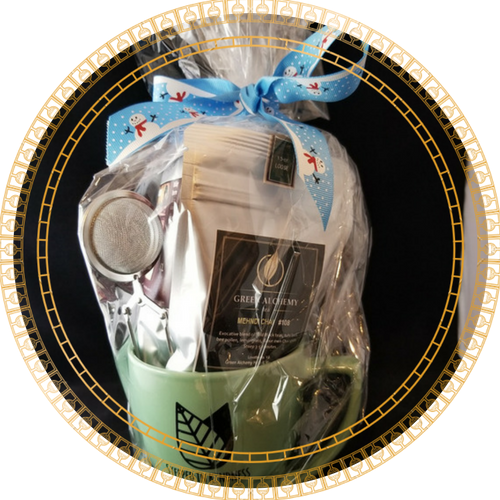 Whether it's for the family, your friends, or co-workers, our tea is always a good buy for the holidays. 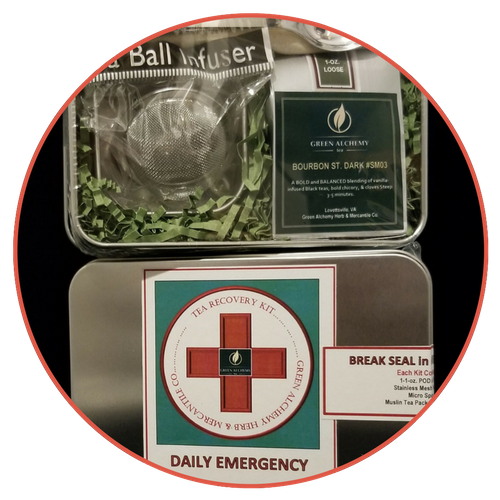 Get through the colds and stress of the holidays with our Emergency tea kit. Carry it in your bag and be ready for anything! ​You're in the club with this mug! 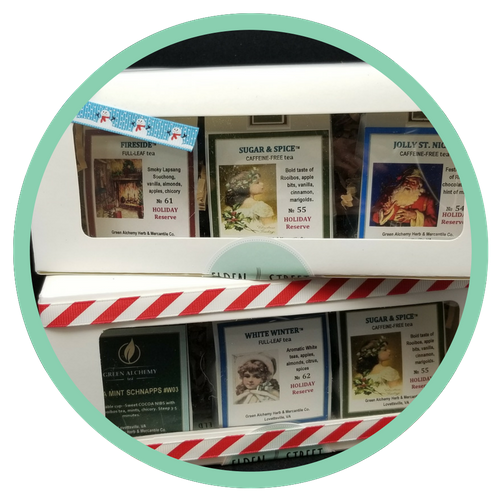 ​3- 1 oz pods of our Exclusive Holiday Teas. ​ That's over 30 servings of tea! Best way to get to know Green Alchemy Teas! 1- Sampler Box of 25 bags of Green Alchemy's most popular teas. 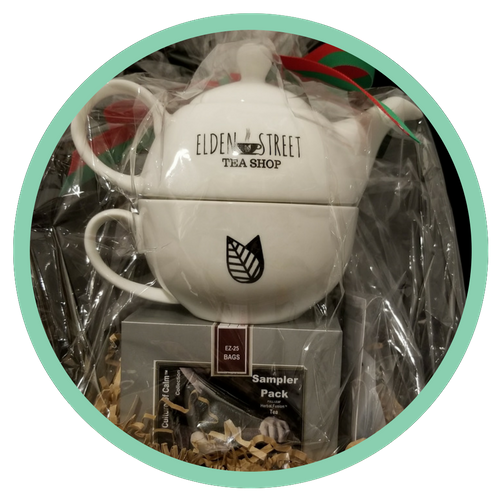 ​For the tea enthusiast or for someone just starting out. The Tea Lover Set is perfect way to enjoy a cuppa. ​1 Sampler Box of 25 bags of Green Alchemy's most popular teas.